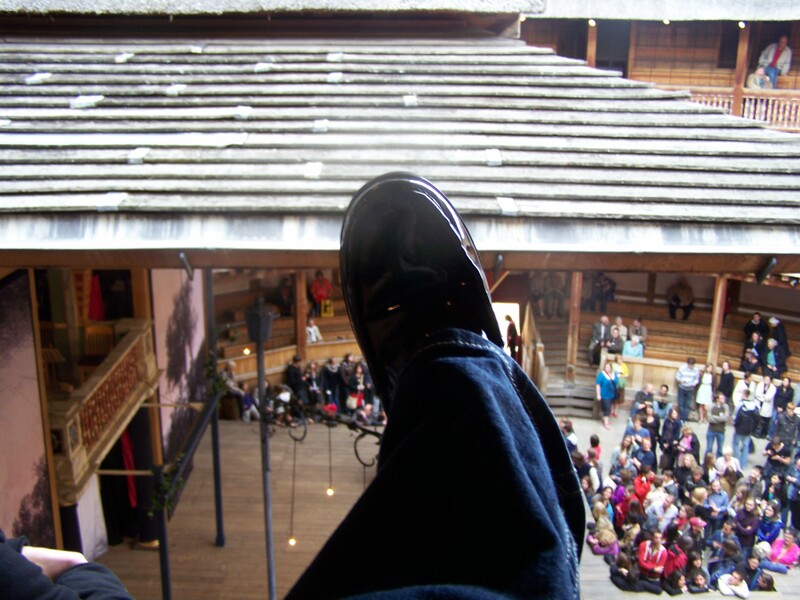 Globe Theatre, where “All The World’s A Stage”, and I am a mere player! Here is the thing. I am not an English major. I am not a Bardophile (one who loves Shakespeare). I like the stuff that I like and I dig a little Shakespeare now and then, especially if it is in a groovy setting. 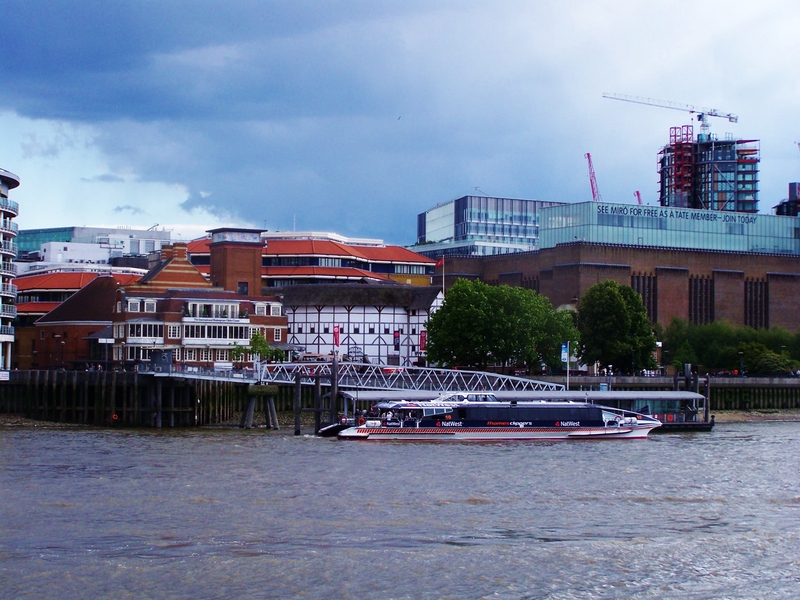 The Globe Theatre on the banks of The Thames is the mother of all Shakespeare settings. (I am using the British spelling because I lived in Canada at one time and I feel cool when I write it this way. I like to wing it, but on this trip, Globe tickets were in my hands ahead of time. It is a must do if you have ever want to see a play in this establishment. A soId out show is not ok when you travel from afar. On this particular “megatrip” I was on a long planned layover, and didn’t do the whole museum and tour thing. I have read that doing these tours will enhance the experience but so does and English pint. If you have time do both. Located within the historic Bankside Quarters, there is plenty to do and see, and overall is a great place to just walk around. 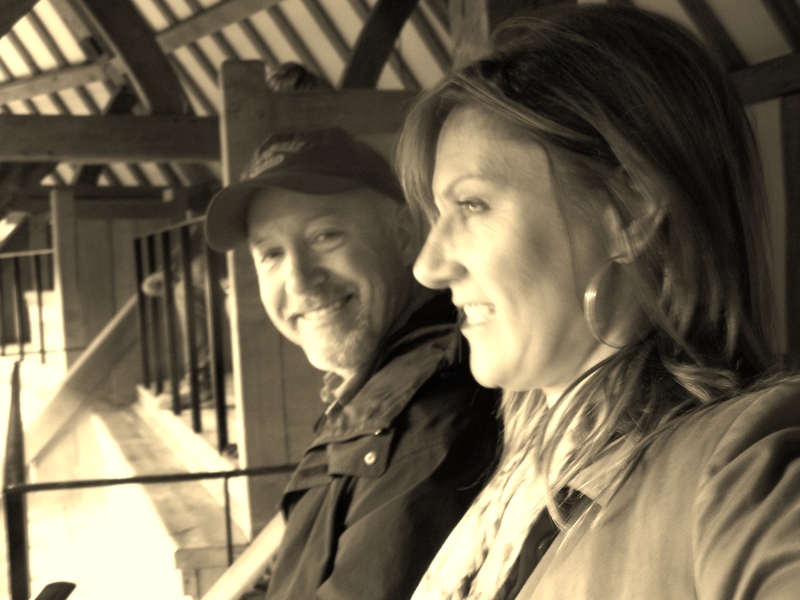 There are so many fantastic eating opportunities including The Swan at the Globe. I checked out a nearby pub with friends, where I could grab a pint and of course some fish and chips. This casual atmosphere is the kind that trips my trigger. Great places to sit outside along the river and watch the cool mixture of people, paying particular attention to the Bardophiles . The theatre is truly a great atmosphere to take in world class acting. It is not the original theatre but a replica of the original open air theatre built in 1599. I understand that it was duplicated in amazing detail down to the type of wood and the thatched roof made of Norfolk Reed. It is three stories and circular. The roof is open. I thought it would be a great experience to watch the play like a commoner and stand, but my husband said no. So the elite gentry wooden bench seats it was for us. This was a very good thing because after walking all day and having an unusual case of jetlag, it would have really sucked to stand. I thanked him for that planning. “All is well that ends well”, was the play that I was fortunate enough to see. It was a fantastic. The actors were extremely professional and the play was well done. More importantly, I have seen this play and had some familiarity with it; which helped me process the words and tune my ear to the language differences while using my jetlagged brain. “Megatips”: DO buy tickets well in advance. Do be a player and buy seat tickets. If you want to be part of the noble gentry, DO rent cushions or be a commoner, whatever. Being from Wisconsin, I took note that people BYOB. Now, I cannot confirm this to be an acceptable practice, but people do it. Bring clothes to keep you warm cause apparently the sun actually does set on The British Empire. Don’t stand and try to listen to the language with jet lag after walking all day. If you are Bardophile, take in the museum and tour.